NASA managers have told the Agency’s safety oversight board that they are continuing to put together the plan for Mars missions while warning the nation is now heavily invested and that “no one wants to lose” what has already been accomplished. NASA is under pressure to provide more substance to its long-term plan ahead of the upcoming Presidential election. NASA is continuing to work towards a 2018 debut for the Space Launch System (SLS) launch with the Exploration Mission -1 (EM-1) Orion. The following mission, this time with a crew, has a “No Later Than” 2023 placeholder. NASA is hoping to improve on this date to avoid a five year gap between its first two SLS missions. 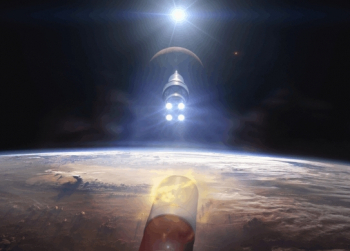 However, these two missions remain the only “assigned” flights on SLS’ books, although a generalized plan has been provided via political direction, calling for NASA to “Journey To Mars” in the 2030s. 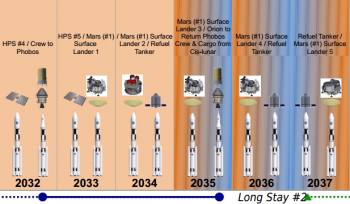 Documented outlines for NASA’s Martian ambitions show an elaborate preliminary manifest that cites 41 SLS flights from 2018 through 2046 in the path towards surface missions, first on Phobos and later on Mars. A large amount of the uncertainty surrounding the plan is due to NASA’s funding outlook, which can only be estimated for the long-term requirements of sending people to the Red Planet. Most experts agree it will take a large increase in funding to push NASA towards a “viable” plan. Technically, SLS and Orion are making good progress, especially when compared to the Constellation Program (CxP). The main issue is finding a “launch cadence” that will fully utilize the vehicles, especially SLS. Program managers are continuing to look at a range of uncrewed missions to supplement SLS’ manifest, including a mission to Europa. The latest Aerospace Safety Advisory Panel (ASAP) meeting heard the latest status overview via Bill Hill, Deputy Associate Administrator for Exploration Systems Development (ESD) in NASA’s Human Exploration and Operations Mission Directorate (HEOMD), specifically on the status of the Agency’s Mars planning. However, most of the overview outlined in the ASAP’s minutes portrayed an Agency that is still thinking over the options, as opposed to baselining its intentions. The briefing included notes on the considerations for “faster transportation” via Solar Electic Propulsion (SEP) and how they will be aiming to collect 20 tons of oxygen from the icy regions of Mars to provide the fuel to get from the surface of Mars to get back into orbit. The overview added that NASA is building towards a three year mission to Mars and that managers are “beginning to lay out the framework” on what must be done to learn how astronauts can live, work and be healthy for such a long-duration mission. 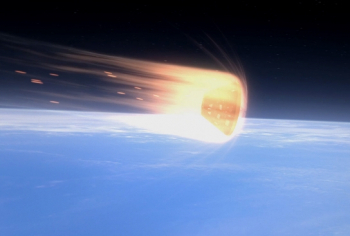 Of interest to the ASAP over recent years has been Orion’s apparent inability to fully conduct Mars missions, given its heatshield can’t survive the increased reentry velocity when returning directly from Mars. Mr. Hill admitted this is a “tall pole” problem and that NASA needs to develop a capability where Orion can survive the 13.5 kilometers per second entry velocity. Mr. Hill characterized such problems as “on NASA’s roster to explore and develop” in the coming years. The ASAP also noted that “for some time” it has been asking NASA for a formal plan, specific to what technologies will be required and when they will be needed. 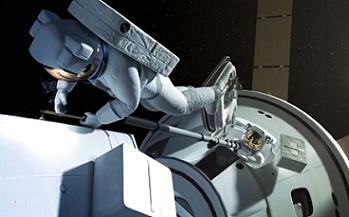 NASA responded to the ASAP meeting that it was in the beginnings of “putting the meat on the bones” for the “providing ground” phase, which is a transitional period where NASA turns its attention from the ISS to cislunar space. The overall appearance of the remarks to the ASAP appears to be an Agency that is deep at work at pressing towards the test flights for SLS and Orion, through to asteroid redirect mission, while remaining in the opening Design Reference Mission (DRM) phase for Mars missions, given they are likely to be decades into the future. A sign that continues to be the reality was the portrayal provided by Mr. Hill noting that NASA has “three phases” for the path to Mars. 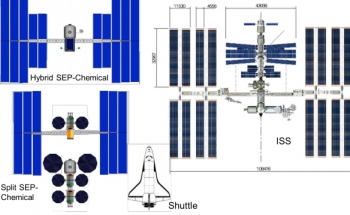 The Agency is currently at “Phase 0” for its Martian aspirations, a phase that involves the use of the ISS to test crew health via long duration space flight. “Phase 1” will be cislunar flight testing during the opening Exploration Mission flights. “Phase 2” will be cislunar validation, where all flight elements required for trips to Mars will be shaken out via Beyond Earth Orbit test missions. The ASAP said it hopes to hear more definition and detail on these plans, a call that has been made several times over recent years. In NASA’s defense, Mr. Hill added that many lessons towards “Phase 0” have already been learned, adding the nation has invested heavily, hardware has been built and there is momentum. He believes “no one wants to lose” what has already been accomplished. Listing the recent milestones, Mr. Hill noted EM-1 is on schedule for a window of September to November in 2018.